Can you feel spring in the air? Well in Florida we can. It's in the high 70's here and I am just loving it and taking it all in! singing Brit Brit's new song "Scream & Shout". and I can appropriately bust out my Maxi Dresses and big sunglasses! 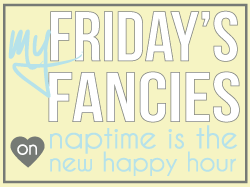 Make sure you pop on over to AV's My Friday's Fancies Link up. I need a floppy hat! I am dreaming of days full of sunshine, maxis and sunglasses as well! Jealous of your warm weather! Stopping by from Friday's Fancies. I love everything. Your outfit is perfect not only for spring, but summer! Have a great weekend.